at the corner of Carrick Street and Moynalty Road, Kells. Peter Connell: Terrible Beauties? An Overview of a Turbulent Decade. 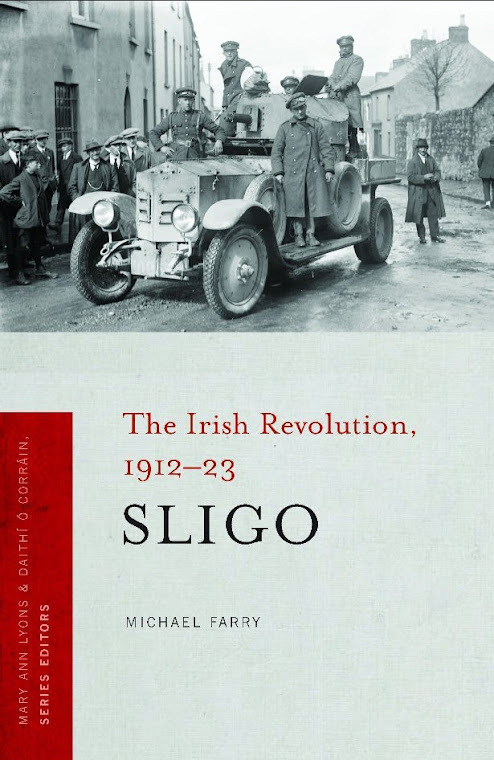 Pádraig Yeates: The Sympathetic Strike in 1913 – Myth or Reality? : the lockout and after. Geraldine English: Strangers in their own land: the RIC in south Meath 1910-20. Danny Cusack: Doing your own research: Class, labour and the case of Thomas Harten. Tracey Holsgrove: More than Just Bandage Rollers? : Women in Meath in the Decade of Centenaries. Plus: Panel discussion chaired by Myles Dungan. I'm one of the "experts" on this panel. Looking forward to a good discussion. Admission: €5 waged, €3 unwaged (no booking required). All Welcome. 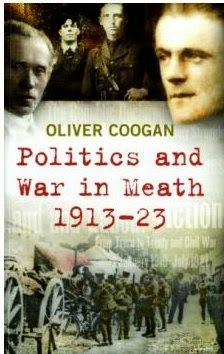 Oliver Coogan, Politics and War in Meath 1913-23 (Second edition, 2014) Available for €15 from all Meath branch libraries. 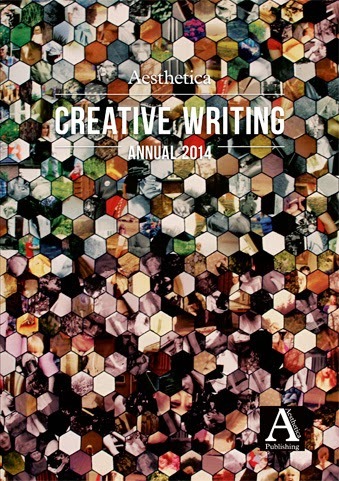 Aesthetica Creative Writing Award: Call for Entries 2014. The Creative Writing Award is a fantastic opportunity for existing and aspiring writers and poets to showcase their work to a wider, international audience: previous entrants have gone on to achieve success and recognition across the world. There are two categories for entry: Poetry and Short Fiction. Fiction entries should be no more than 2,000 words each and poetry entries should be no more than 40 lines each. Both short fiction and poetry entries should be written in English. Submissions previously published elsewhere are accepted. Entry is £10. One entry permits the submission of two works into any one category. You may enter as many times as you wish. Looking for literary inspiration? CLICK HERE to pick up a copy of last year’s Aesthetica Creative Writing Annual. 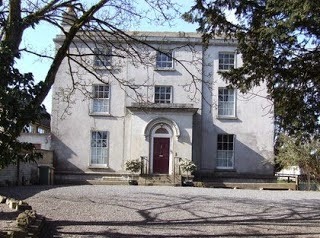 A very successful event last evening in the Old Rectory, Trim, as part of the Bealtaine Festival. A full house with great support from Meath Writers Circle, Boyne Writers Group and Navan Small Impact Writers. Paddy Smith performed the MC duties with his customary good cheer and Martina Quinn welcomed us to her home, explaining the history of the wonderful house. Lots of poetry, some prose and memoir and even a few Limericks enlivened the proceeding and the MC's determination to ensure everyone kept to their allotted time was a ringing success! Thanks to all involved especially to Martina for being a most generous hostess. The nineteenth Age & Opportunity Bealtaine Festival takes place this month. This festival celebrates creativity as we age and many events are taking place in county Meath and all over the country in arts centres, theatres, libraries, galleries, community centres, local halls, care settings and in the main cultural institutions. The theme for this year is And catch the heart off guard from the late Seamus Heaney’s poem, Postscript, about the Flaggy Shore in Clare. Just as Heaney’s car in the poem is surprised by big soft buffetings, it is hoped that Bealtaine 2014 will provide some surprises for many people. 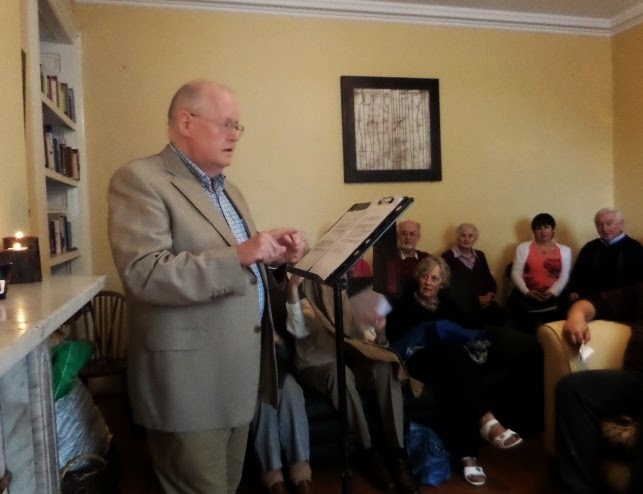 To celebrate Bealtaine, Boyne Writers Group and Meath Writers Circle have organized a poetry reading in the Old Rectory, Loman Street, Trim on Thursday 22 May at 7pm. Everyone is welcome to this Poetry in the Parlour Bealtaine event. You are welcome to read favourite poems or poems of your own. Indeed if you just want to listen and enjoy you will also be most welcome. The Old Rectory, pictured above, was built in 1751 and though it has been adapted and enlarged on several occasions during the last 250 years, it is essentially the same now as when first built. 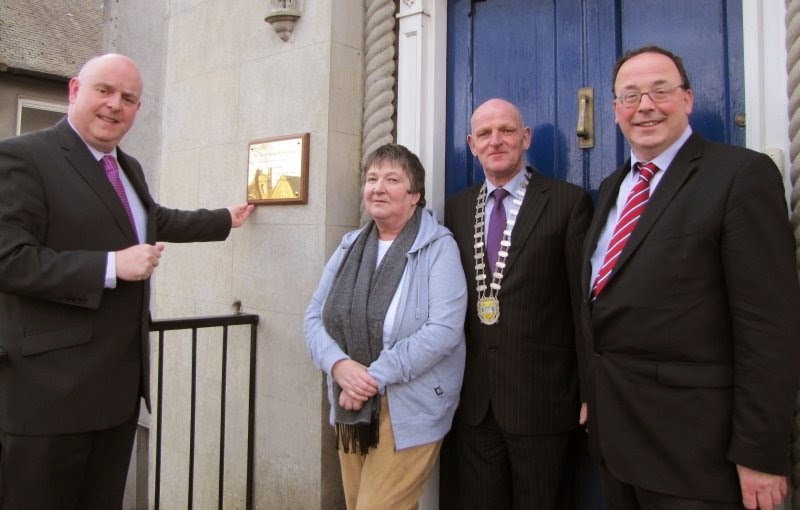 Picture below: A plaque was recently unveiled on the building in memory of Dean Richard Butler who, in addition to being the Dean of the Cathedral, was an historian, teacher, writer, humanitarian and lover of Trim town. The newly ordained Richard Butler arrived in Trim in 1819 and remained in Trim until his death in 1862. We are very grateful to Martina Quinn, current occupant of Dean Richard Butler’s home, for inviting us to hold the reading in the house. Poetry Ireland Introductions Series is a very significant event each year and achieving a place on the series is a considerable achievement and an important step in a writing career. This year, the Poetry Ireland Introductions Series teams up with the Irish Writers’ Centre and Dublin Writers Festival for two cabaret-style evenings in the the Irish Writers’ Centre to reveal nine new promising voices: Erin Fornoff, Angela T Carr, Larry Stapleton, Breda Wall Ryan, Kevin Conroy, Colm Scully, Rachel Coventry, Paul McMahon and Stiofán Ó hIfearnáin. A number of these have been published in Boyne Berries. Congratulations to those and to the others. This year’s programme will also include specially selected musical accompaniment from new and emerging musicians, singers and songwriters. The Moth Short Story Prize is sponsored by the arts and literature magazine The Moth, recently described by the novelist David Mitchell as ‘a beautiful creature’. The competition has become a fixture on the international writing calendar, and this year the first and second prizes have increased to €3,000 ($4,186) and €1,000 ($1,395). There is also a very attractive third prize of a week-long writing retreat at Circle of Misse in France. The Circle of Misse house rests on the banks of the Thouet River (‘thouet’ being the ancient Gallic word for ‘tranquil’), a tributary of the Loire. Circle of Misse will also kindly pay €250 ($348) towards travel expenses. This year’s competition will be judged by Mike McCormack, a recipient of the Rooney Prize for Irish Literature whose debut short story collection was a New York Times Notable Book of the Year. His novel Notes from a Coma was shortlisted for the Irish Book of the Year Award and was described in the Irish Times as ‘the greatest Irish novel of the decade just ended’. The prize is open to everyone, as long as the work is original and previously unpublished. There is a 6,000 word limit. The entry fee is €9 ($12.50) and you can enter as many stories as you like. The closing date for the competition is 30 June 2014. 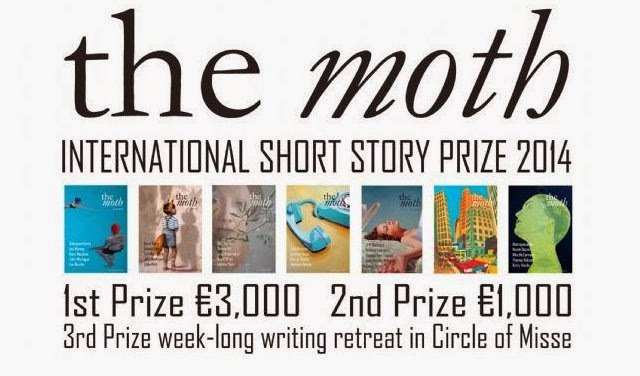 The three winning stories will feature in the autumn 2014 issue of The Moth and the winners will be invited to read at a special event at the Winding Stair Bookshop in Dublin in September 2014. For details of how to enter the competition go to the Moth webpage. 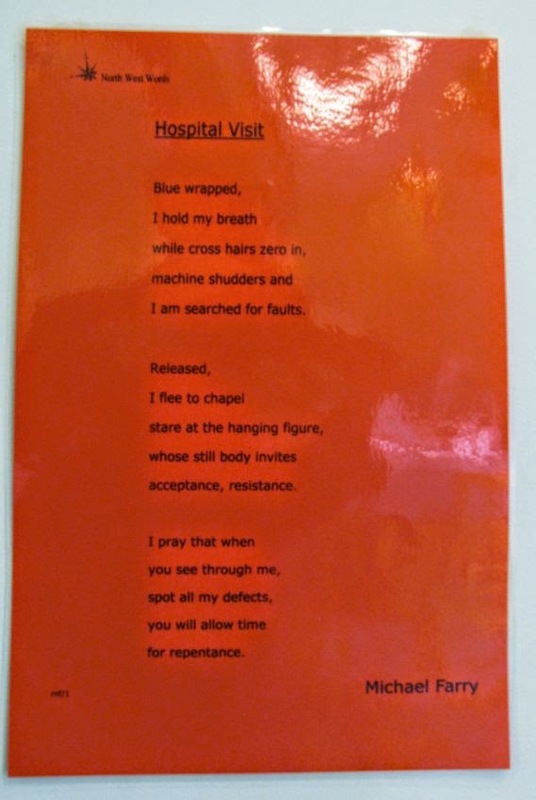 Poetry for Spaces promotes the work of poets from the north-west by displaying their poems in public places around Donegal. Poems have to be no longer than twenty two lines and should be appropriate for viewing in a public area. Poets who have participated so far include Mary Barr, Eamonn Bonner, Olive Borland, Maureen Curran, Colin Dardis, Kathryn Daily, Janice Fitzpatrick Simmons, Sine Friel, Nick Griffiths and Gréagóir Ó Dúill. The Dundalk Bough Bells Reading Festival presents a poetry reading with Mary O'Donnell and Michael Farry on Saturday 10 May at 7.30 pm The venue is the Oriel Centre, Old Gaol, Dundalk. I'm delighted to be involved in this event and delighted to be on the same bill as the wonderful Mary O'Donnell. The event poster calls Mary a novelist but in fact she is also a well published poet having had five collections of poetry published. Her poetry has been translated into French, Romanian, and more recently, Chinese. She has also translated a selection of work by the Austrian poet Ingeborg Bachmann. Her fiction includes the best-selling literary novel, The Light-Makers, named The Sunday Tribune's Best New Irish Novel of 1992, Virgin and the Boy (1996), and collections of short stories, Strong Pagans (1991), and Storm Over Belfast (2008). She won the 2011 Fish International Short Story Prize. From 2pm until 5pm on the same day four northeast writing groups will read their prose and poetry in the Market Bar, Market Square, Dundalk. Among the groups involved in this are the two writers groups I'm a member of, Boyne Writers Group and Cavan/Meath LitLab. It should be a great afternoon and evening. It's a busy week in Cavan literary circles. After last evening's very successful inaugural At The Edge reading in Cavan Library, more poetry in Cavan on Thursday evening. Where the Wind Sleeps, New and Selected Poems by Noel Monahan will be launched at Cavan Courthouse and Council Chambers on this Thursday 8 May 2014 at 8pm. The launch will be performed by Gerard Smyth, chairperson of Poetry Ireland, Kavan Donohoe will provide music and there will be wine and refreshments. The cover of the book features a panting by local artist Pádraig Lynch and the launch will be accompanied by an exhibition of Pádraig's work. The book, Noel's sixth collection, is being published by Salmon Poetry. 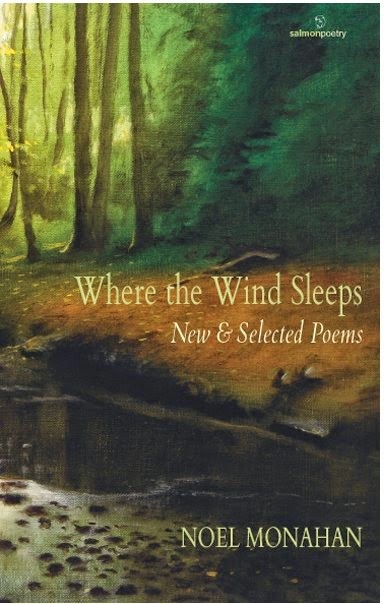 Where the Wind Sleeps: New & Selected Poems features selections from five previous collections, published over twenty-three years, as well as new work and gives us an intriguing insight into Monahan’s observations at the edges of time and place. The collection will be launched in Dublin on Tuesday 13 May at 6.30pm in The Little Museum of Dublin, St Stephens Green. Mamisa String Trio will provide musical entertainment for the evening. 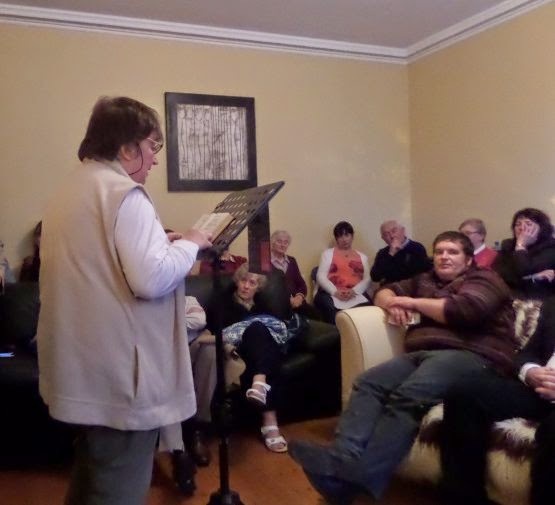 Kate Ennals is the main organiser of a series of readings and open mics in Cavan with the aim of create a regular, popular, literary space in Cavan which is accessible and entertaining. There are numerous writers and poets, writers groups, and local workshops in Cavan, but there are few outlets for aspiring writers to read their material so following each of the readings will be an open mic session for local writers to perform their own material. The inaugural session of At The Edge takes place on this Tuesday, 6 May 2014, in the Johnston Library, Farnham Road, Cavan from 6.30 to 8pm. Each featured reader will read for 15 minutes and these will be followed by open mic readers. Shane Connaughton, as a Cavan man, will open the proceedings. Shane was born in Kingscourt, and his teenage years were spent in Redhills where his father was the local garda sergeant. He has written screen plays, novels, memoir and short stories. 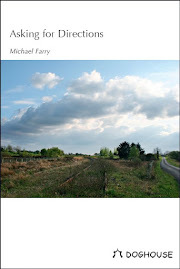 His novel, A Border Station, (1989), deals with a boy’s relationship with his parents set along the Ulster border where his father is the local garda sergeant. Shane is also the author of The Run of the Country (1991) and Big Parts (2009). Shane will be followed by June Caldwell. June worked for 13 years as a freelance journalist for the UK and Irish press. She has been shortlisted for the RTÉ Guide/Penguin Short Story Competition. In 2010 she received an Arts Council of Northern Ireland (ACNI) bursary for fiction. She is currently working on a collection of short stories themed around 'the city', and a novel set in the Blitz in Coventry and in 1980s Dublin. I will be the third reader. This isn't the first time I've read at the library in Cavan. 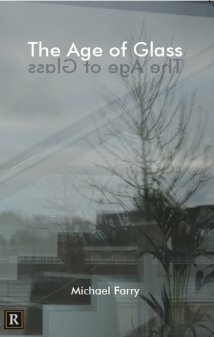 A couple of years ago some LitLab members read on a stage outside the library during the Fleadh Cheoil. RTE actually filmed some of us and Paddy Smith made the evening news reading one line (or was it two) of The Old Woman of the Roads I think! The following four events in the At The Edge series will take place on Tuesday 1st July, Tuesday 2nd September, Tuesday 4th November and Tuesday 2 December 2014. I'm delighted to have a poem included in the latest issue of Cyphers, the Dublin based poetry magazine which is edited by Leland Bardwell, Eiléan Ní Chuilleanáin and Macdara Woods. The administrator is Áinín Ní Bhroin, a fine poet who was one of the Poetry Ireland Introductions poets in 2011. The launch of this issue of Cyphers takes place as part of the Strokestown Poetry Festival 2014 on Sunday 4 May at 12.15pm. I hope to be there. The winner of the Strokestown International Poetry Prize will be announced at 7.30pm on that Sunday evening by judges, Paddy Bushe and Neil Astley. The short list is here.